If you love Cool Kindergarten, you’ll love how simple your computer lab time can become with ready-to-go lesson plans for a whole year! The Computer Lab Lesson Plans: Math and Reading for Kindergarten is designed just for kindergarten computer lab or technology lab times. It’s simple to use just like Cool Kindergarten, but it is laid out with a schedule for the entire year! Plus, you’ll find many more general kindergarten skills included – like shapes, sorting, science and social studies built in. Kinders click and learn – work at their own pace, stay on task and listen to audio books when they’ve finished the week’s lessons. It’s the perfect solution to keeping everyone learning during computer lab time. 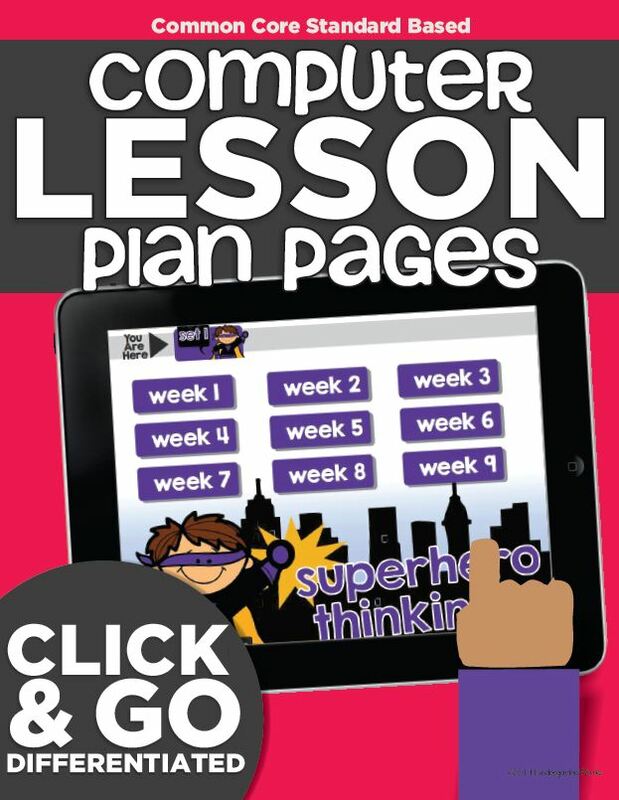 Get your students learning like superheroes while making it EASY on YOU! Standards-based interactive online activities and games for students to complete using the computer or laptops! This is an entire year’s worth of kindergarten computer lessons ready to go. It hits common core and general standards in reading and math. Perfect for using in the computer lab or at stations. Your work of lining up age-appropriate and standards based things to do is D.O.N.E! Love, love, love this! It’s so easy for the kinders to use and they can work at their own pace. Thanks! – Rebecca B. Lab Lesson Pages PDF – 36 Pages (36 weeks) of online games/activities ordered to cover the entire K year! Easy for students to click and learn with little modeling. Teacher Standards Quick Link – 4 Pages outlining the standards for each of the 4 sets included in the lesson pages PDF. 48 Audio Stories – 4 Pages within the lesson pages PDF that each has 12 unique stories to build in more reading and gives early finishers an open-ended activity. 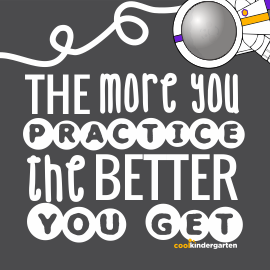 36 Task Posters – Use posters to easily show students what games/activities to play! I love this product. I can’t imagine the amount of time this has saved me. It is thoughtfully designed and one of the best purchases I have made on TPT! – Betsy M.
You are my “superhero”! The posters, the CCSS lists per week…..I faint! 🙂 Thank you! We’re on week 6 of the first pack so I just got on to download the remainder of the year and it’s all updated!! Thx so much! – Pearson E.
Read more about the Kindergarten Computer Lab Lesson Plans on my teaching blog KindergartenWorks. I’m a computer lab technology teacher. Can I use this? How is it different from Cool Kindergarten or the other items your have available? In two ways. One, coolkindergarten.com is a website. The purchasable products are pdfs. The second way is that this product has more activities than Cool K and guides students to specific levels of activities. While Cool Kindergarten has no structure to play different games over time, the Computer Plan Pages are laid out with one set of activities for each week of school. Does it have the same games as Cool Kindergarten, the Math Centers or the Reading Centers? There is some overlap of the websites used – but each product has lots of unique links and activities. All of the paid products guide students to specific levels of play for less specific websites to make it more focused and independent.